Our close relationship with our customer does not end once our luminaires are delivered. We make sure that the FALCON searchlights work reliably even after 10 years in performance. Consistent delivery of spare parts and accessories are just two important aspects of our customer support. Preventive maintenance, inspection and personnel training round out our after-sales service. Experienced project teams undertake the installation of our lighting systems whether in indoor or outdoor use. This might involve working at vertiginous heights on the outside walls of buildings or in confined spaces when rigging stage lights.  AO Technology’s experts are careful at all times to make sure fixtures are attached securely, that full weight is given to aesthetic considerations, and that electrical installations are safe, and the same sedulous attention is paid to the commissioning and documentation of products. The installation of lighting components ahead of deadline; that’s the watchword of AO Technology’s highly motivated team.